Antiretroviral (ARV) adherence is critical in monitoring disease response in youth with perinatally-acquired HIV (PHIV). We used pharmacy refill (PR) information for PHIV youth from the PHACS Memory Sub-study to calculate medication availability over 2, 4, and 6 months. PR, a proxy of adherence, was compared with self-reported 7-day adherence in predicting suppressed viral load (SVL < 400 copies/mL) and higher CD4% (≥ 25%). Among 159 PHIV youth, 79% were adherent by 7-day recall, and 62, 55, and 48% by PR over 2, 4, and 6 months, respectively. Agreement between 7-day recall and PR adherence was weak (Kappa = 0.09–0.25). In adjusted logistic regression models, adherence showed associations with SVL for 7-day recall (OR 2.78, 95% CI 1.08, 7.15) and all PR coverage periods (6-month: OR 3.24, 95% CI 1.22, 8.65). Similar associations were observed with higher CD4%. PR measures were predictive of study retention. Findings suggest a possibly independent role of PR adherence measures. The online version of this article ( https://doi.org/10.1007/s10461-019-02468-x) contains supplementary material, which is available to authorized users. The authors extend their gratitude to Kunjal Patel, DSc, MPH, Senior Research Scientist, Harvard T.H. Chan School of Public Health, Department of Epidemiology, for her valuable consultation to the statistical analyses. The Pediatric HIV/AIDS Cohort Study (PHACS) Memory and Executive Functioning substudy was supported by the National Institute of Mental Health (MH084794; PI: Sharon Nichols). Data analysis services were provided by the Center for Biostatistics in AIDS Research, Harvard T. H. Chan School of Public Health (PI: Paige Williams); data management services were provided by Frontier Science and Technology Research Foundation (PI: Suzanne Siminski); and regulatory services and logistical support were provided by Westat, Inc. (PI: Julie Davidson). 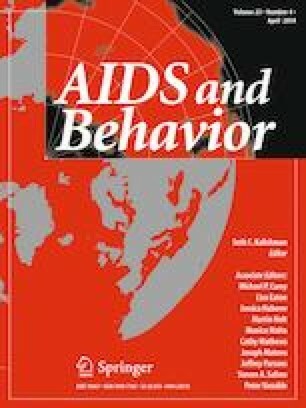 The Pediatric HIV/AIDS Cohort Study (PHACS) was supported by the Eunice Kennedy Shriver National Institute of Child Health and Human Development with co-funding from the National Institute on Drug Abuse, the National Institute of Allergy and Infectious Diseases, the Office of AIDS Research, the National Institute of Mental Health, the National Institute of Neurological Disorders and Stroke, the National Institute on Deafness and Other Communication Disorders, the National Heart Lung and Blood Institute, the National Institute of Dental and Craniofacial Research, and the National Institute on Alcohol Abuse and Alcoholism, through cooperative agreements with the Harvard University T.H. Chan School of Public Health (HD052102) (Principal Investigator: George Seage; Project Director: Julie Alperen) and the Tulane University School of Medicine (HD052104) (Principal Investigator: Russell Van Dyke; Co-Principal Investigators: Kenneth Rich, Ellen Chadwick; Project Director: Patrick Davis). Note: The conclusions and opinions expressed in this article are those of the authors and do not necessarily reflect those of the National Institutes of Health or the U.S. Department of Health and Human Services. All authors declare that they have no conflicts of interest to report.